I have always failed at making lasagna. The first time I made it, it was a huge watery mess with mushy spinach. The second time, it was rock hard. I read up a little about lasagna, and found out some interesting things that I had been doing wrong. First off, I didn’t make sure to cover all of the pasta, so it was turning out super crunchy in some places on top. Second, I was using frozen spinach like many recipes suggested. Ugh. I found that fresh spinach is much better, and will leave you with a thick, lasagna like sauce instead of a watery tomato juice. Lastly, make your own sauce. Why not? You can personalize it and add a little spice if you really want. Now that lasagna and I are at peace, I’d like to share. 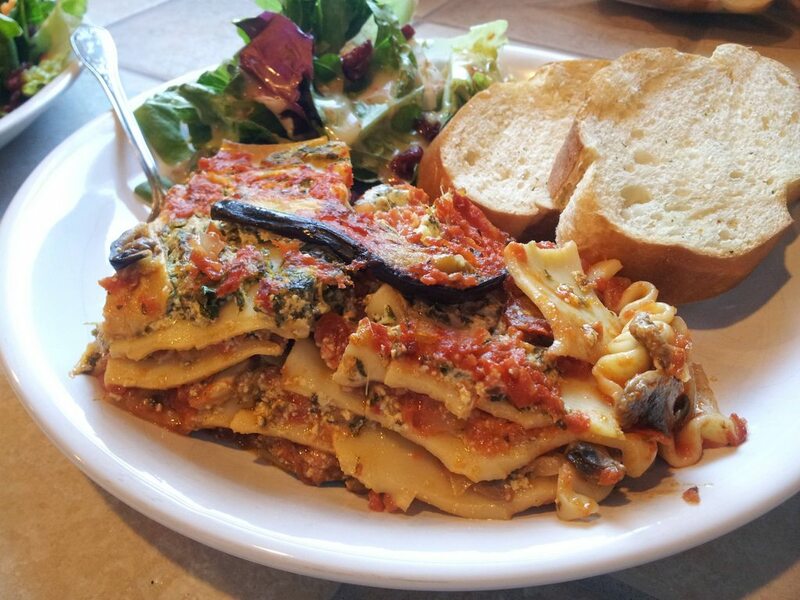 This entry was posted in Recipes and tagged basil, bread, garlic, lasagna, onion, oregano, pasta, red bell pepper, spinach, sun dried tomato, tomato paste, vegetable, vegetable broth.